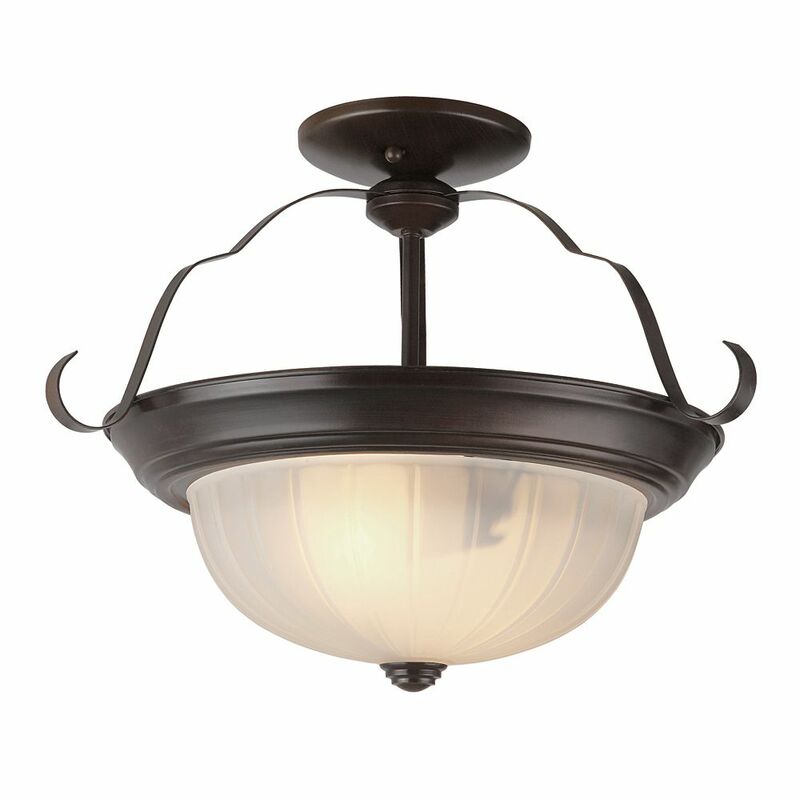 This traditionally styled ceiling light is the perfect complement for today's casual interiors. A domed glass diffuser provides nice, even illumination. This fixture has GU-24 sockets designed specifically for use with newer, energy efficient bulbs which makes this a great choice for rental or commercial properties. Traditional style ceiling fixture with a domed, etc.hed glass diffuser. Decorative ceiling pan transitions nicely to glass shade which is held in place with a matching metal finial. Safety listed for use in damp locations such as bathrooms. Bronze Brim 11 inch Kitchen Flushmount Classic melon glass shade for a traditional contemporary look. Full coverage flushmount easily hides existing ceiling flushmount opening. Suitable for damp locations making fixture a perfect fit for bath, kitchen, and service porch areas.